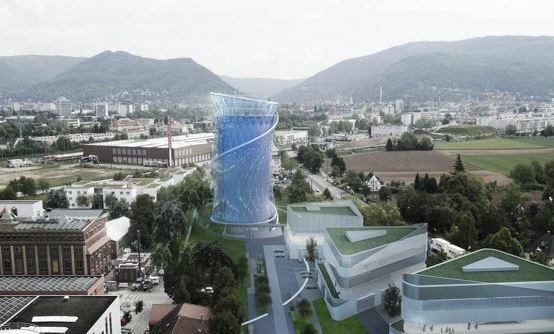 Architectural firm LAVA (LAboratory for Visionary Architecture) have designed a revolutionary energy-storing water tank, destined to be the tallest building in the German town of Heidelberg. The building is loosely based on a giant gas tank that reflected Germany’s energy policy in the 1950’s, and will soon act as a beacon signalling the area’s commitment to wiser and more sustainable energy. 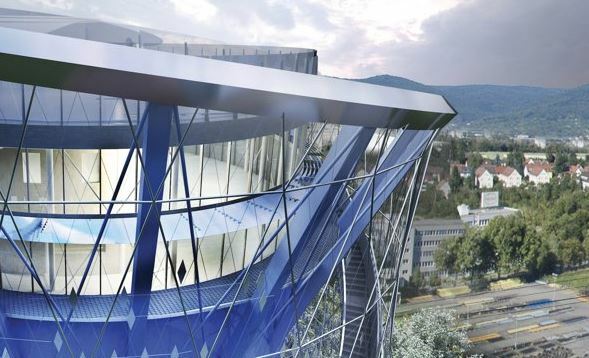 LAVA’s design includes twin elevators to roof top event spaces, and a bistro and terrace offering panoramic views. 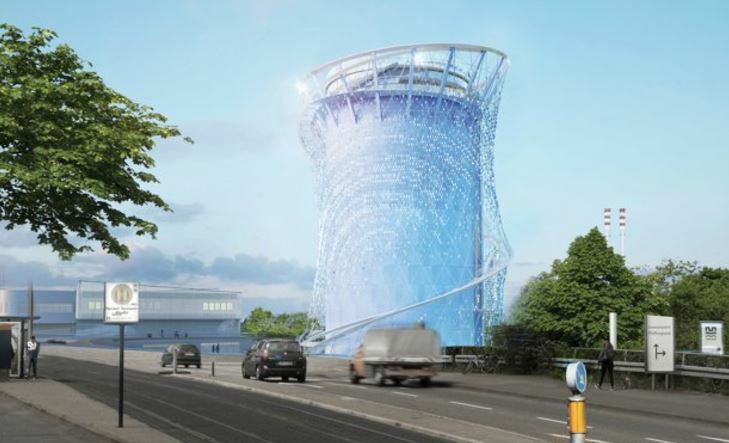 The tank itself is clad in a multi-layered façade, with around 11,000 diamond-shaped rotating plates of stainless steel – which interact with the wind and represent the number of homes supplied with energy by the network. BE Collective worked with the LAVA team on a Digital Origami Emergency Shelter as a part of an Emergency Shelter Exhibition which toured Sydney, Melbourne and Brisbane, take a look at the project here.